Several counties in Florida—including Broward and Miami/Dade— allow motorists to attend traffic school twice in one year. For individuals who have been granted this great opportunity, we are pleased to offer our 8-Hour Intermediate Driver Improvement course. 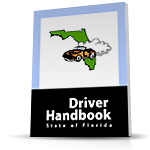 In certain other cases, drivers may be ordered to attend by a judge or the courts; check your court papers to confirm that this is the class you need. Our Internet course blends colorful graphics and informative charts with clear, concise, easy-to-understand text. Better still, all of the great traffic safety information is peppered with hilarious driving related humor, so you'll laugh while you learn. Our secure website is available 24/7 for your convenience; you can log on and off as many times as necessary to complete the course. And as always, we offer the best customer service and support in the industry. Just click the registration link at the bottom of the page (or call toll-free to 407-348-0005) to sign up for the Internet course. The cost of the course is only $59.99. We also offer classroom courses at a variety of convenient dates and times. The informative course content is supplemented by our trademarked Flipcharts, and fascinating videos complete the multimedia presentation. Best of all, our helpful, knowledgeable instructors are there to answer your questions and make the traffic school experience fun! It couldn't be any easier. Simply call toll-free to 407-348-0005 to register for the classroom course. The cost of the course is just $75.00. Note: Our 8-Hour Intermediate Course will not satisfy the "Unknowingly Driving While License Suspended" course requirements. If you need a course that will fulfill those needs, click here.